This lesson introduces Variation #2 of the Four Step Fingerpicking Pattern. 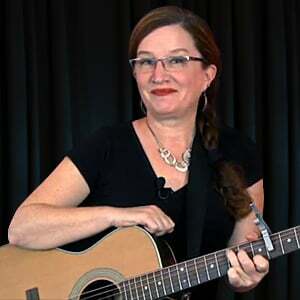 This is a highly versatile and popular acoustic fingerpicking skill. If you've been following Levels 1, 2, and 3, you should be pleasantly surprised how easy this absolutely classic pattern is! For this pattern, the first half of the measure will start with the thumb on the bass note, for a count of "One And". This is followed by a triple pinch, using the thumb on the third string, the index finger on the second string, and the middle finger on the first string, all at the same time. The count for this move is "Two And". The second half of the measure will be our old buddy, the Four Step Pattern (thumb on the bass note, middle finger on the highest string, thumb on the third string, index finger on the second string). The count for these notes is "Three And Four And".